Writing is a tough job; the colons, commas, full stops, prepositions, conjugations; adjectives keep haunting a writer as long as he is in this field. You might be a pro in writing but it is human to error. You can any time end up missing some commas or important adjectives, but this small mistake of yours can be lethal for your content. Some misspelled words and missing prepositions are enough to kill your content. Grammatical errors are the one reason you do not have a good ranking in Google because readers do not like half cooked content. They love something that is well structured, well written and the most grammatical error free. No matter how hard you try, you might miss something in your proofreading session. Even if you have someone to do it for you, the chances of mistakes are always there, so what to do now? 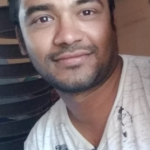 Is there any possible mechanism that helps you get a hold over error free, grammatically fair content? Indeed there is. Grammarly.com helps you in getting a strong hold on your grammatical issue. Many of us are non-native English speakers and for us doing the silliest mistakes are quite justified. But, Grammarly.com ensures you don’t end up like a fool, crying over your over sightedness. Grammatically is an online tool hence it has minimal or rather zero chances of mistakes. It helps you find out grammatical mistakes in your content. It is a perfect tool that assures you write a perfect, grammatically correct content. Grammarly.com has two versions; Free & Premium. 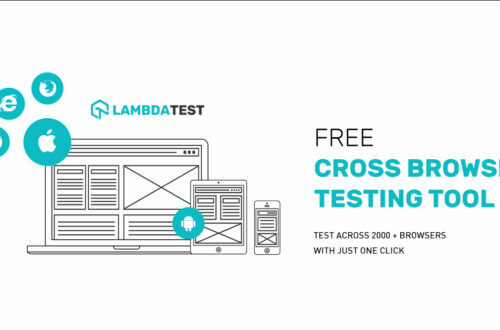 While the free version helps you in finding small mistakes, it has its own limitations. The free version does not help you in advanced editing options. You can have a half cooked content with help of grammarly.com free version. For beginners, this can be a satisfactory tool but the free version does not work for the professionals. It helps you in Spelling, Grammar, Punctuation, Sentence structure. Professionals have to go for the premium version. This version has its own features and is no doubt a great tool for writing grammatically sound content. It is an advanced, spell & free grammar checker that integrates with most of the writing software. You can install it for Microsoft office, Microsoft Outlook, Chrome browser, FaceBook, Twitter, etc. and the application starts underlining the content with an error in no time. Apart from the basic features of the free version, Premium version of Grammarly helps you with Word choice, Clarity, Passive voice use & Wordiness. You can download Grammarly from the official website; grammarly.com. The choice of version is yours. If you download the free version, the installation process is easy. Continue with the installation by pressing “OK”. The software will install and you will get a shortcut icon on your screen. After installation, you can also find the Grammarly tab on your Microsoft office window. Installing Grammarly Premium Version is same as free version. All you need to do is pay the desired fees to register as a premium user and there you have the access to the incredible world of error free & grammatically rich content writing. The current fee for the premium version is $29 per month. Grammarly has undoubtedly taken over the world of content writing with its bespoke help to each writer. It is an acutely efficient tool that helps you write perfect content. If you love writing in a flow you must have noticed that there are many mistakes that you make while typing in speed. These mistakes are majorly spelling mistakes. Or at times you get confused over a spelling and end up writing the wrong one. Grammarly helps you in identifying such mistakes and thus make your content richer. Grammarly either shows suggestion for the word or raise a doubt for the same. This is the weakest point of almost all non-native writers. We lack control over grammar. No matter how efficient a writer you are, the doubt of grammatical issues remains persistent. By installing Grammarly you get a constant scrutiny of your content for grammatical errors. 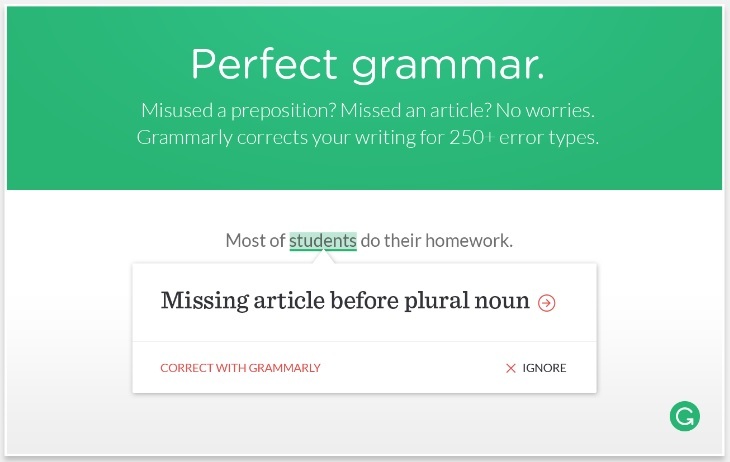 Grammarly corrects your mistakes like their vs. they’re or which vs. witch. Write punctuation is a very important aspect of meaningful writing. Wrong use or no use of punctuation can ruin the meaning of your content. Grammarly helps you in putting your commas, full stops, colons and semi-colons in their right place. This help is beyond the traditional spell checkers. We often face problem in drafting a balanced sentence structure, especially in the case of long sentences. Grammarly checks for wrong fragmented sentences and offers you a suggestion. Besides these four features, Grammarly premium comes with some additional features like Word choice, Clarity, Passive voice use & Wordiness. You get a good choice of words if your content has repetitive words in it. Grammarly suggests you some relevant words or synonyms to choose from. Same is with wordiness and clarity, Grammarly.com points out the issues and offer many suggestions to choose. Additionally, Grammarly rectifies your passive voice usage. Writing in passive voice is not appreciated much in content writing. A good writer must avoid it as much as one can. Grammarly helps you in this. Grammarly also offers you a function that checks any unoriginal content in your write up. You can switch on the feature and check as many contents as you wish for and detect plagiarism. Once you will open the desktop Grammarly editor, you can find the plagiarism tool at the left pane. Simply switch it on, and you are all good to go. Using Grammarly offers you two great advantages. You get grammatically correct content as well as you enhance your vocab and knowledge of English. If you are a writer suffering from proofreading mistakes, Grammarly comes up as an impeccable option for all your concerns. Hope you like this post and add Grammarly as an everyday useful tool. If you also have good experience with this tool then please share us in a comment. 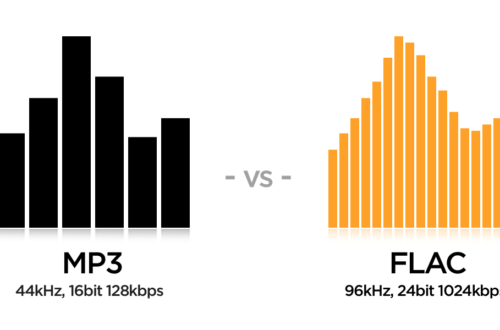 MP3 vs. FLAC – What is the Difference Between Both Audio Formats?